These series impresses above all due to the versatility, easy handling, sturdy construction and functional design. 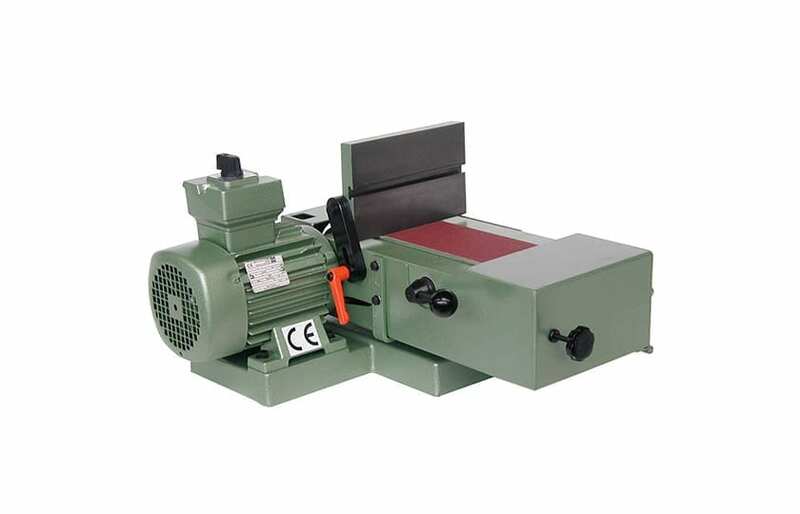 The surface belt grinding machine for dry grinding is universally applicable for each grinding task. Machines with belt width of 100 mm, 200 mm or 300 mm are available. Sturdy machine construction ensures vibration-free operation and as a result, a long service life even at high output. Choice between the more favourable model: table or the sturdy model: pedestal. The surface grinding table can be adjusted as desired from horizontal to vertical. Connecting pieces at the surface belt grinding machine for connection at an extraction system are standard. Closed protective edge cases in order to capture dust better, a swiveling surface grinding table (angle table) from -10° to +45°, an additional angle stop with milled T-groove are included in the comprehensive range of accessories. 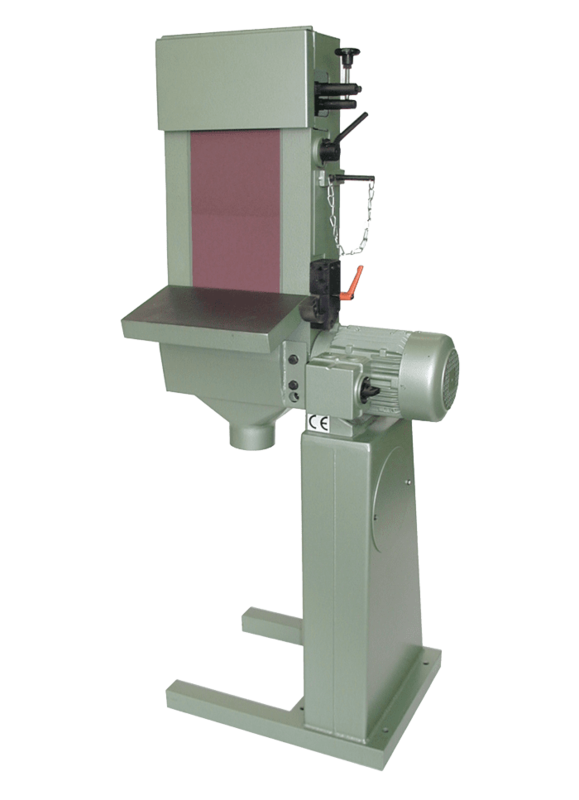 The safety of the grinding machines is important to us and is constantly reviewed. This is confirmed by the CE certification of every grinding machine. Built-in belt guard plates as protection against accidental contact are for example standard equipment on the surface belt grinding machines. Complying with legal requirements is a matter of course for us and has as much priority as the high quality of our production based on the durability and funtionality of our products.